L.O.V. Cosmetics Get Your Glow UPDATE [HUGE] - Cherry Colors - Cosmetics Heaven! With the beginning of the year, 2018 L.O.V. cosmetics released some new products that are meant to brighten your face and your life. I got a couple of products from the update and in this post, I'll do a quick review of all of them. 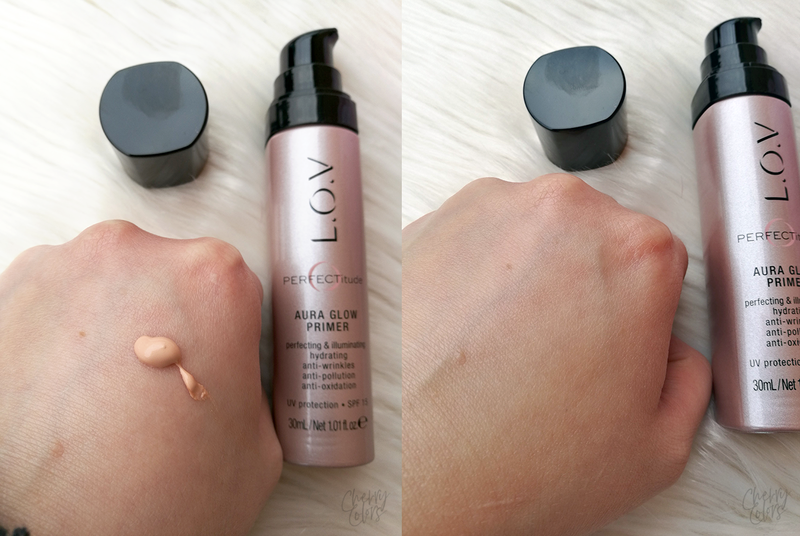 The first product I tried out was the new Aura Glow Primer. Primer with multiple protection for a radiant complexion. Also, the pump works really well and I feel that one pump and a half is perfect to cover my whole face. Trust your inner strength and the PERFECTiude Aura Glow Primer. 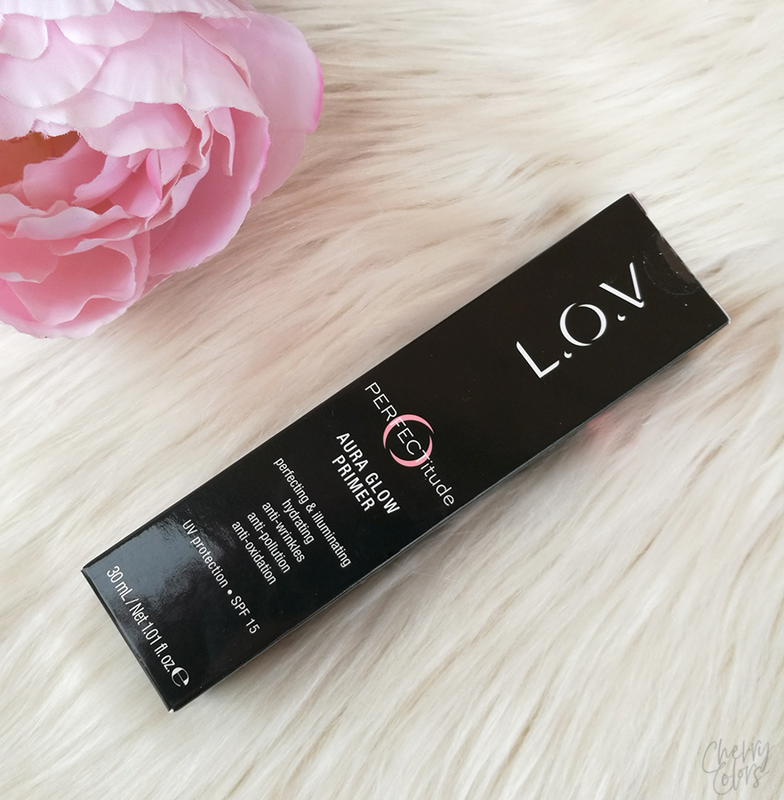 The ultra-light formula with an SPF of 15 corrects fine lines and wrinkles and acts like a radiant protective barrier for your complexion thanks to highly effective ingredients. Negative environmental influences such as exhaust fumes simply bounce off! But our primer can do so much more. Its innovative formula provides your skin with moisture so that it feels more supple, firm and smooth. All the more reason to shine - with a natural glow, and with your smile! * *Study with 30 women over a period of 28 days with daily application. 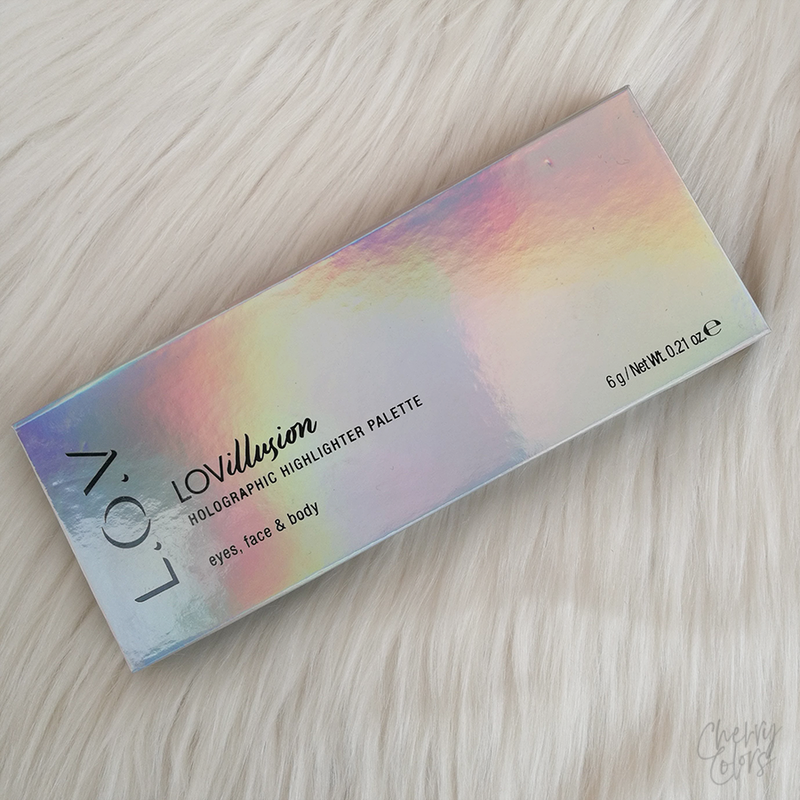 The ingredients of the product are really interesting - there are some brightening ingredients, some sun protecting ones and of course, there's silicones. I'm somewhat sensitive to silicones but I'm hoping that I can get away with using this product at least once a week without it breaking me out. AQUA (WATER), DIMETHICONE, POLYSILICONE-11, GLYCERIN, ETHYLHEXYL METHOXYCINNAMATE, NIACINAMIDE, BUTYLENE GLYCOL, MICA, BUTYL METHOXYDIBENZOYLMETHANE, OCTOCRYLENE, SYNTHETIC FLUORPHLOGOPITE, BIS-ETHYLHEXYLOXYPHENOL METHOXYPHENYL TRIAZINE, TOCOPHERYL ACETATE, POLYACRYLAMIDE, ISOHEXADECANE, C13-14 ISOPARAFFIN, PPG-26-BUTETH-26, POLYGLYCERYL-4 ISOSTEARATE, ZINGIBER OFFICINALE (GINGER) ROOT EXTRACT, CETYL PEG/PPG-10/1 DIMETHICONE, PEG-40 HYDROGENATED CASTOR OIL, AMMONIUM POLYACRYLOYLDIMETHYL TAURATE, HEXYL LAURATE, ETHYLHEXYLGLYCERIN, DISODIUM EDTA, LAURETH-7, LAURETH-12, POLYSORBATE 80, POLYSORBATE 20, BHT, TIN OXIDE, BENZYL SALICYLATE, PHENOXYETHANOL, PARFUM (FRAGRANCE), BUTYLPHENYL METHYLPROPIONAL, CITRAL, CI 77491 (IRON OXIDES), CI 77492 (IRON OXIDES), CI 77499 (IRON OXIDES), CI 77891 (TITANIUM DIOXIDE). 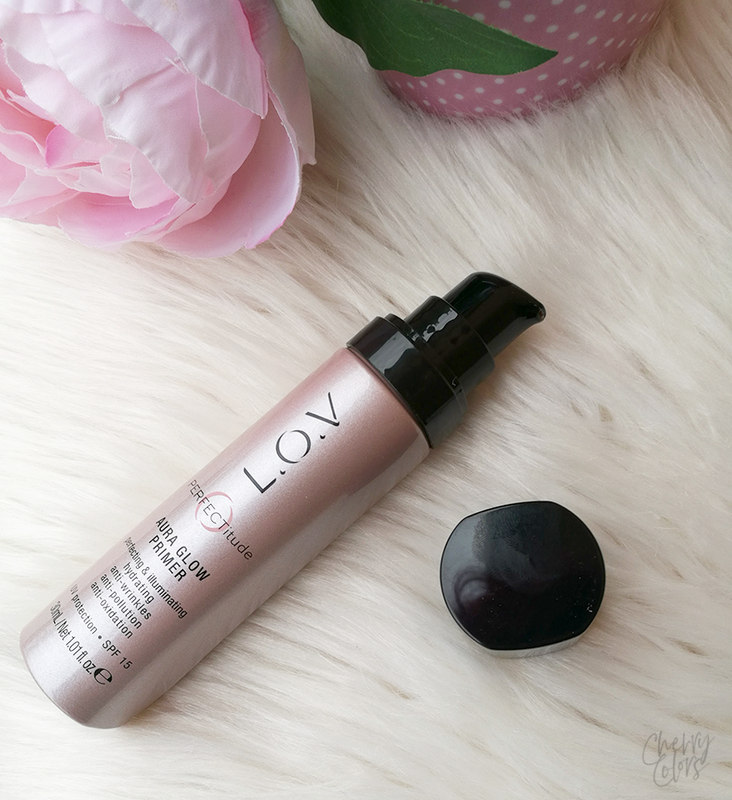 After application, it leaves the skin moisturized and with a lovely glow. 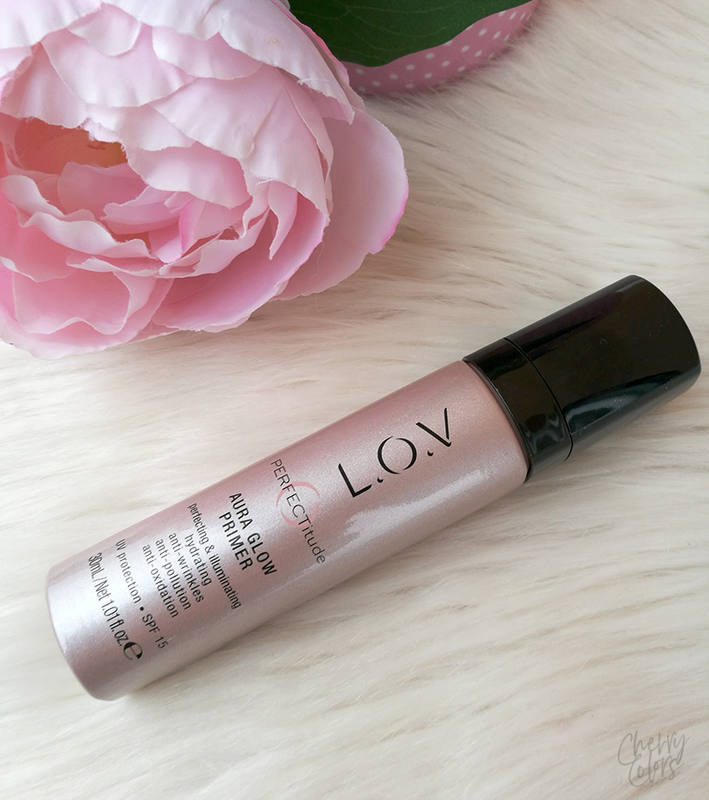 For a daily application, on its own or as a primer underneath make-up. Can also be used on the go to refresh your look. L.O.V never ends. Bold, super shiny finish. Fascinating shades, enclosed in exclusive Italian glass. 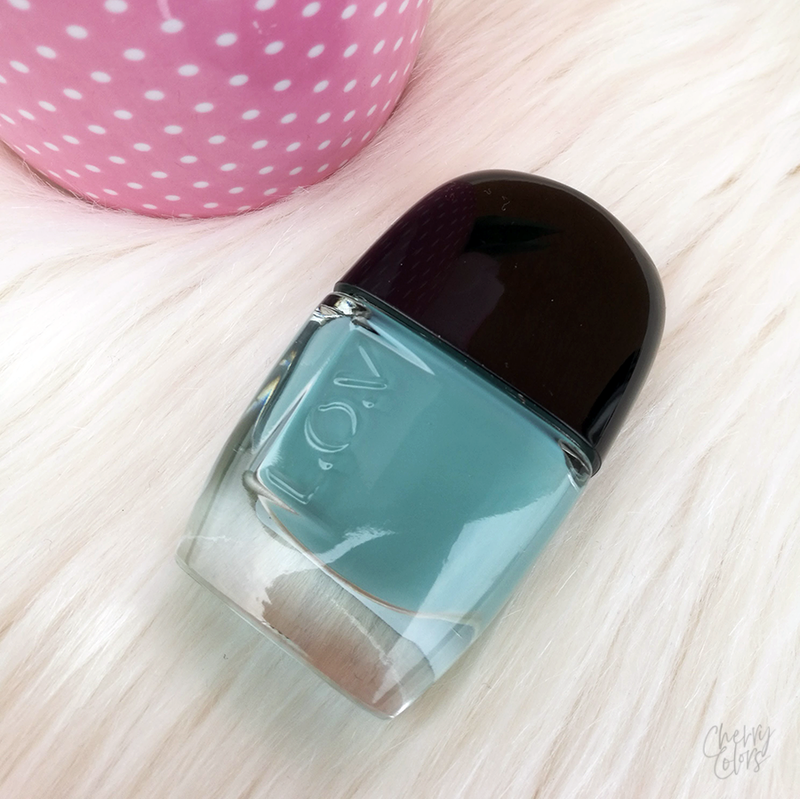 High-performance brush, dipped into long lasting color: LOVinity Long Lasting Nail Lacquer is almost too good to be true. By combining innovative precision brush and long-wear formula, this nail lacquer turns nail beauty into an art form. The secret? The one-of-a-kind brush and its 320 high-quality fibers: with its professional rounded shape, each fiber works in perfect harmony with the nail lacquer formulation. One stroke, and the nail is evenly and precisely coated. Thanks to the chip-resistant high gloss texture, nails will shine on... up to 7 days. 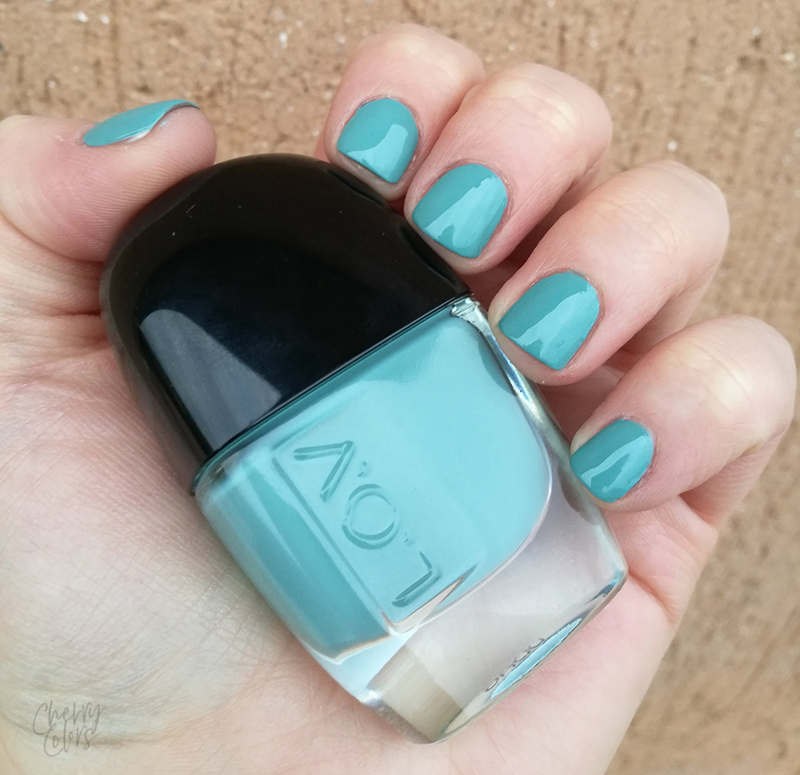 7 days of intense and alluring nail color is more than great: it is called L.O.V. The nail polish surprised me. A lot. The brush is pure perfection for round cuticles and nails. And even if my nails are now really short, I had no problem whatsoever with the application. The removable cap makes the application easier as the brush is easier to maneuver. I needed one layer for full opacity but when with two just because I wouldn't feel good if there were any invisible streaks left. The formula is perfect. I'm serious. Not too thick and not too thin. Right in the middle. I think this is my favorite formula so far. Really amazing! 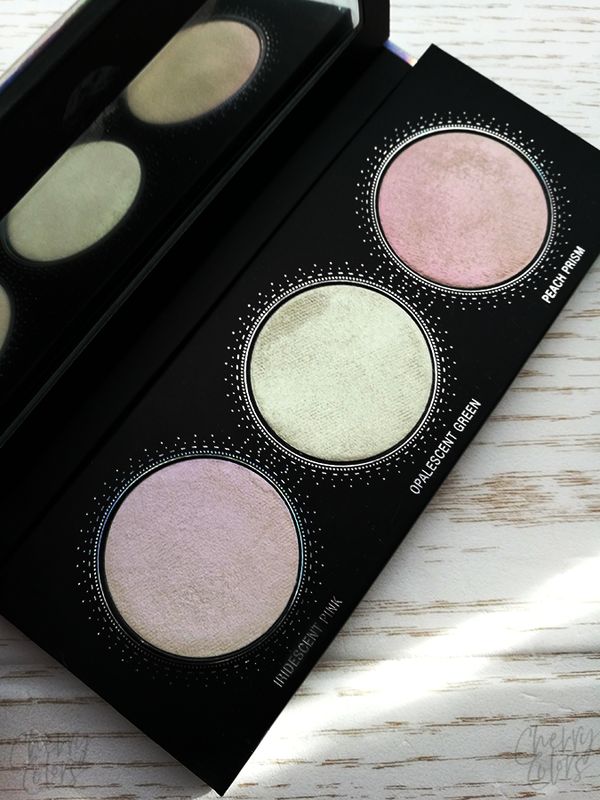 Integrated highlighter for a seductive shimmer. Shape and color alignment in perfection. Shape and define like a pro? Not a problem with this duo consisting of a smudge-proof eyebrow pomade and a colour-coordinated highlighter. The creamy consistency of the pomade, which is available in three shades, allows an easy application. 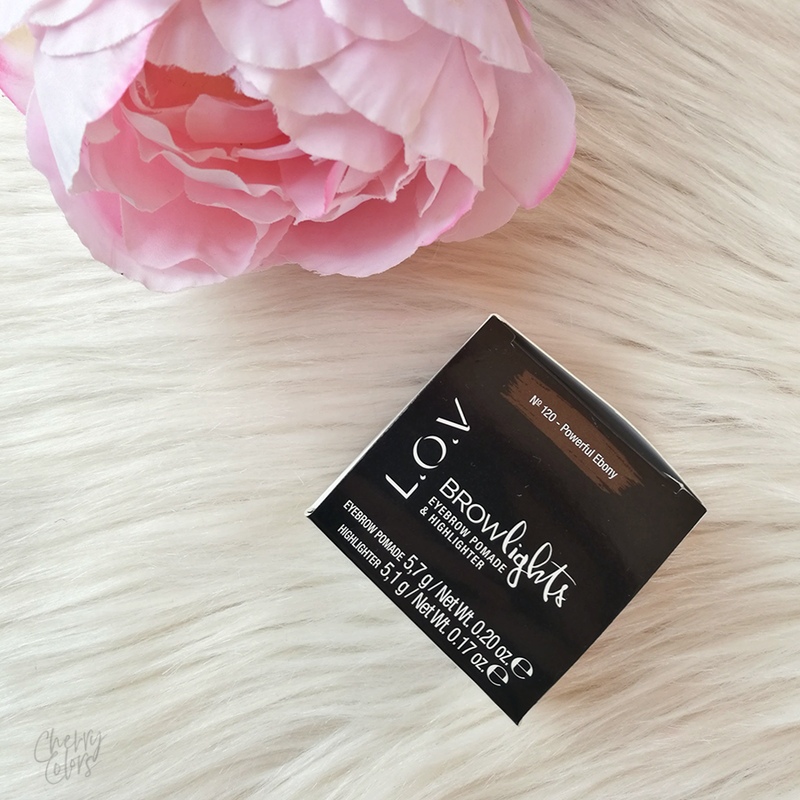 The illuminating highlighter, which is perfectly aligned with the colour of the pomade, ensures defined and pampered brows to add expression to the area around the eyes. I have never seen a similar design before. On one side there's the gel pomade and the other there's the eyebrow highlighter. 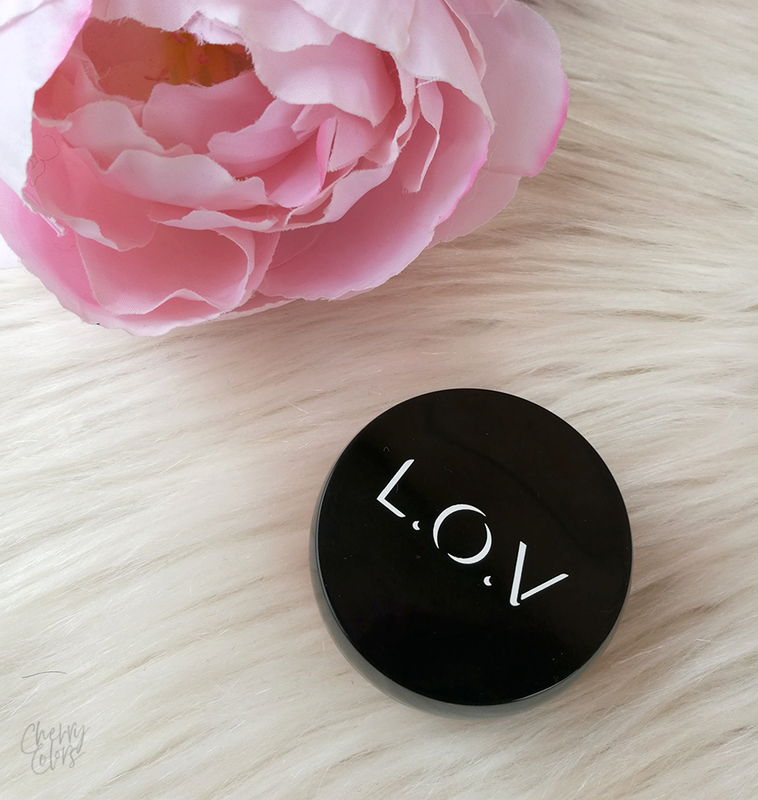 It's best to apply the creamy pomade with a slanted brush with short bristles like the L.O.V STORYline Eyebrow Duo Brush. For a seductive shimmer, apply the highlighter beneath the underneath and blend. This way, a perfect brow style is easy to achieve - even on the go. 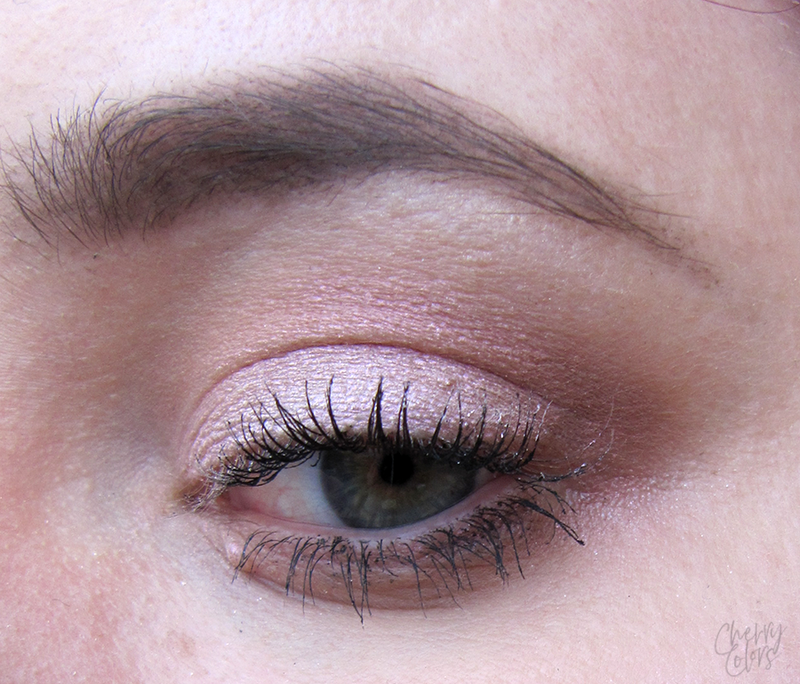 Both sides are pretty pigmented and together they work well for really pretty eyebrows. 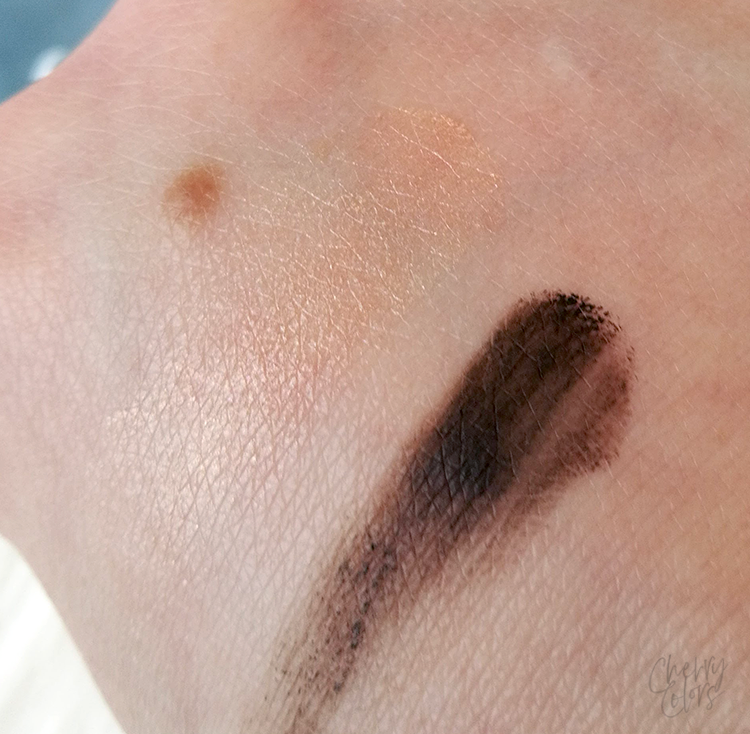 In fact, I couldn't remove the pomade from my hand where I swatched it. It took several attempts to finally remove it fully. I really like the combination and how easy it is to work with the pomade. It's a bit harder than the Avon's Eyebrow pomade (which I love), but the lasting power is better so I'm curious how it will work for me in the long run. 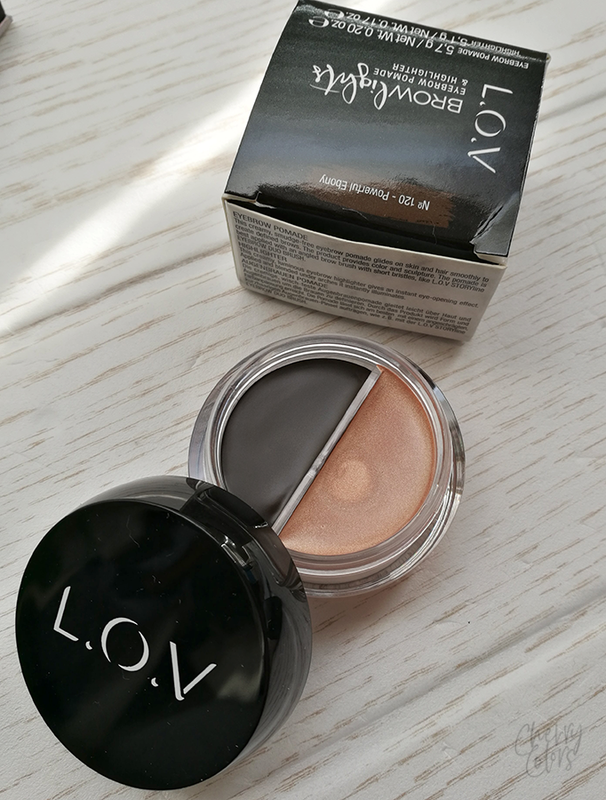 The highlighter is softer than the pomade and gives a barely noticeable sheen. It looks very natural and it's hard to overdo. CYCLOPENTASILOXANE, TRIMETHYLSILOXYSILICATE, ISODODECANE, DIMETHICONE, POLYETHYLENE, SILICA, BIS-DIGLYCERYL POLYACYLADIPATE-2, TOCOPHERYL ACETATE, GLYCERIN, ALUMINA, PHENOXYETHANOL, CI 77491 (IRON OXIDES), CI 77492 (IRON OXIDES), CI 77499 (IRON OXIDES), CI 77891 (TITANIUM DIOXIDE). UND/AND INGREDIENTS: MICA, ETHYLHEXYL PALMITATE, CERA MICROCRISTALLINA (MICROCRYSTALLINE WAX), OCTYLDODECANOL, ISOSTEARYL ISOSTEARATE, PHENYL TRIMETHICONE, PARAFFIN, COCOS NUCIFERA (COCONUT) OIL, TOCOPHEROL, ALOE BARBADENSIS LEAF EXTRACT, CAPRYLYL GLYCOL, PHENOXYETHANOL, CI 77491 (IRON OXIDES), CI 77492 (IRON OXIDES), CI 77891 (TITANIUM DIOXIDE). 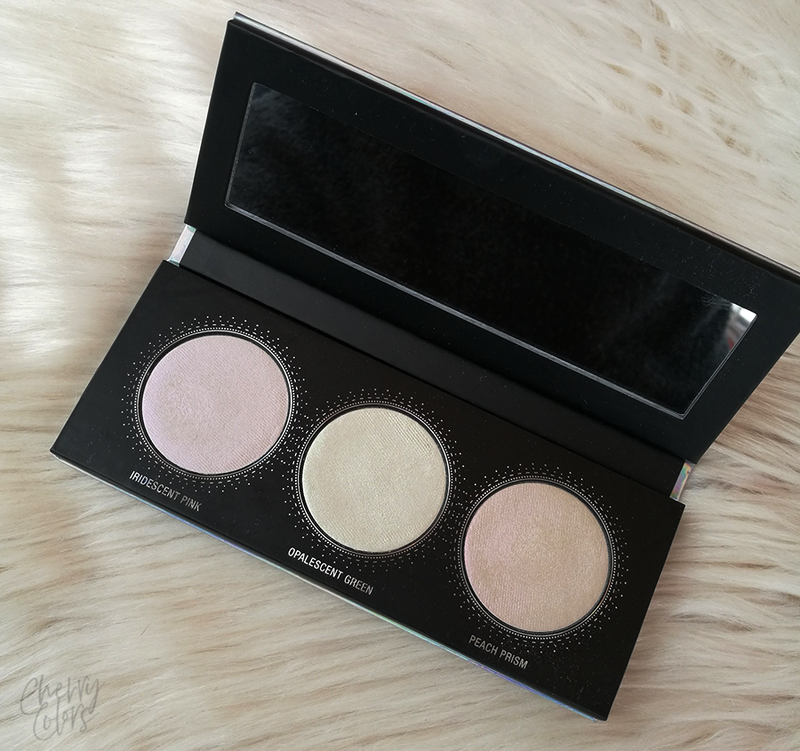 Prismatic glow for the eyes, face, and body. Three multi-dimensional shades for fascinating looks. Okay, so I left the best as the last one. This palette is something that speaks to my soul. Look at it. Just look at it. I need to tweak some colors in photoshop so you can see how it really looks. The pretty shine! 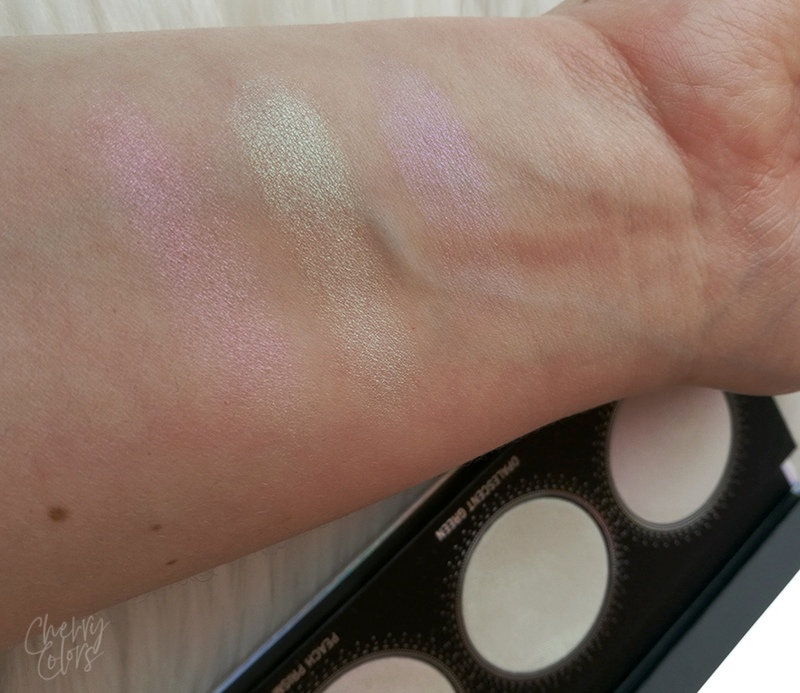 The colors are iridescent and can be used for your body, eyes, and face. 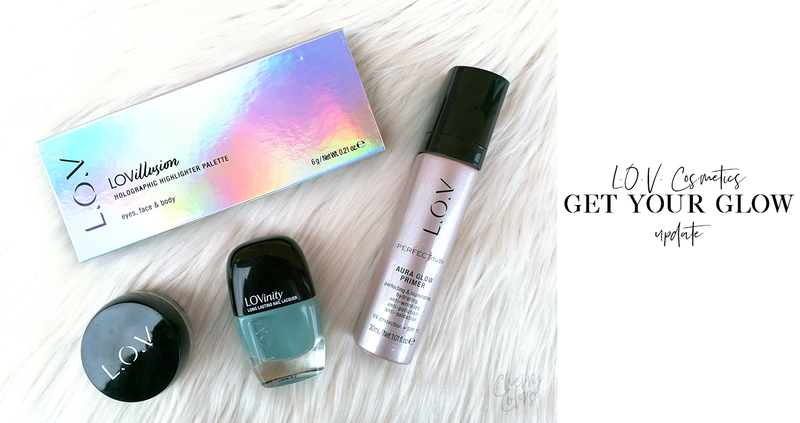 The secret for adding new dimensions to any make-up style: iridescent highlights! 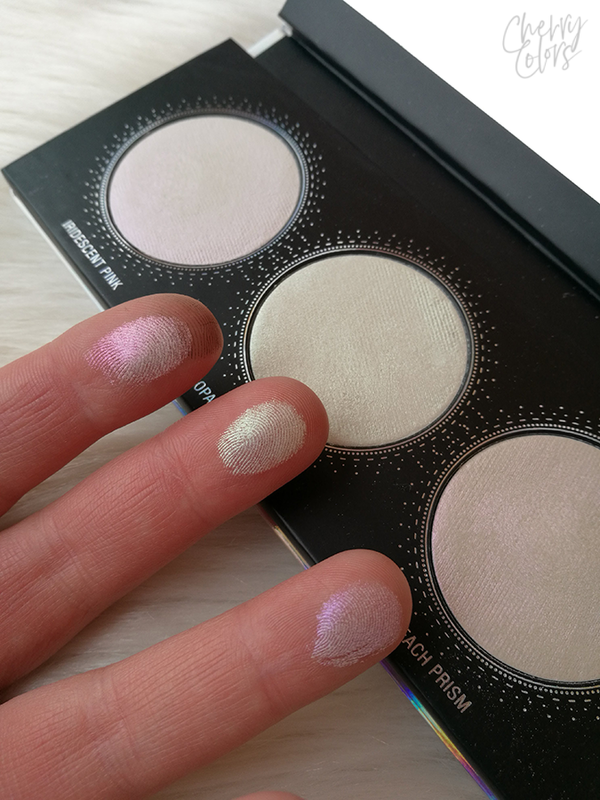 The soft texture contains holographic pearls that reflect the light to offer endless radiant possibilities! Three shades ensure a prismatic finish. Because there was no sun left when I was taking the photos and these colors need some indirect sunlight to really show their true colors, I did a simple makeup look with it. 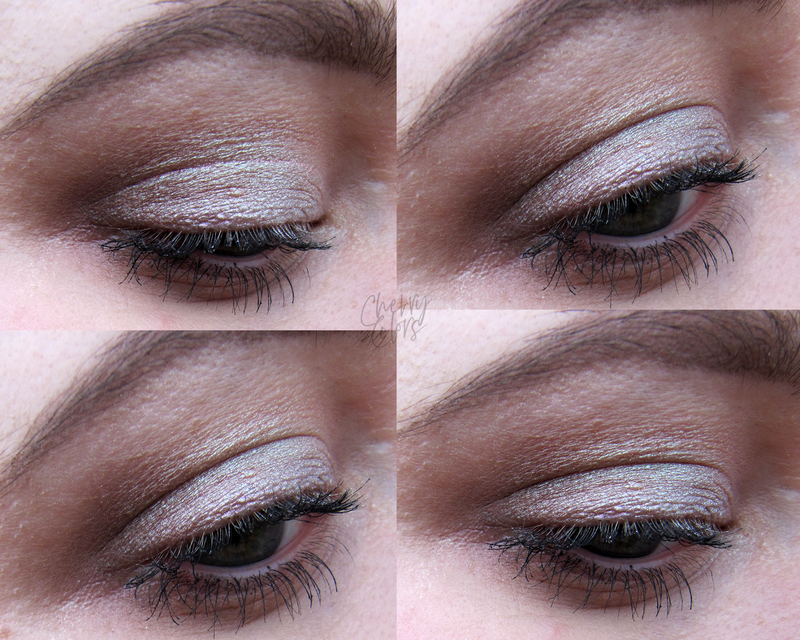 I used a shimmery brown in the crease and for the main color I used two of the colors form the palette. 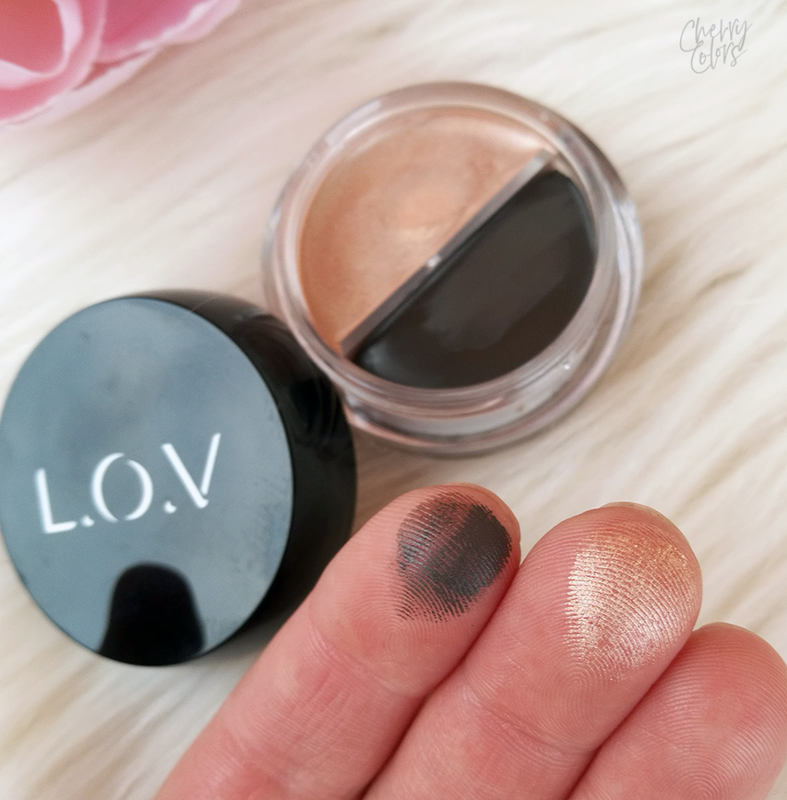 Eyes: can be used as eye shadow, as a top coat over dark shades or mixed with other eye shadows - for fascinating looks on the eyes. Face: apply on the cheeks or above the lips for an expressive, prismatic glow. Body: highlights on the collarbone complement the make-up with an alluring, kaleidoscopic finish. The multi-dimensional shades are perfect for individual styles. 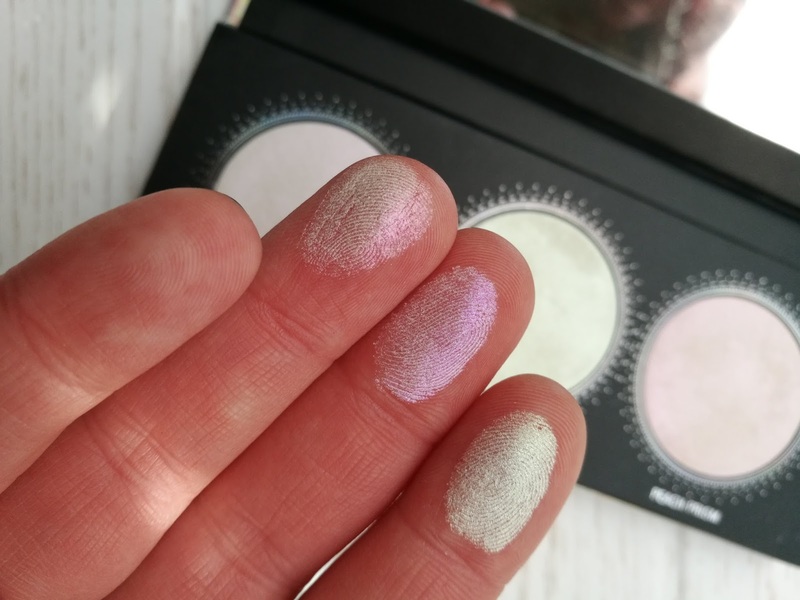 They give any make-up a unique, prismatic effect - no matter whether day or night. I am pretty impressed with how pigmented the colors are (even if they are a bit powdery when you're trying to layer them). 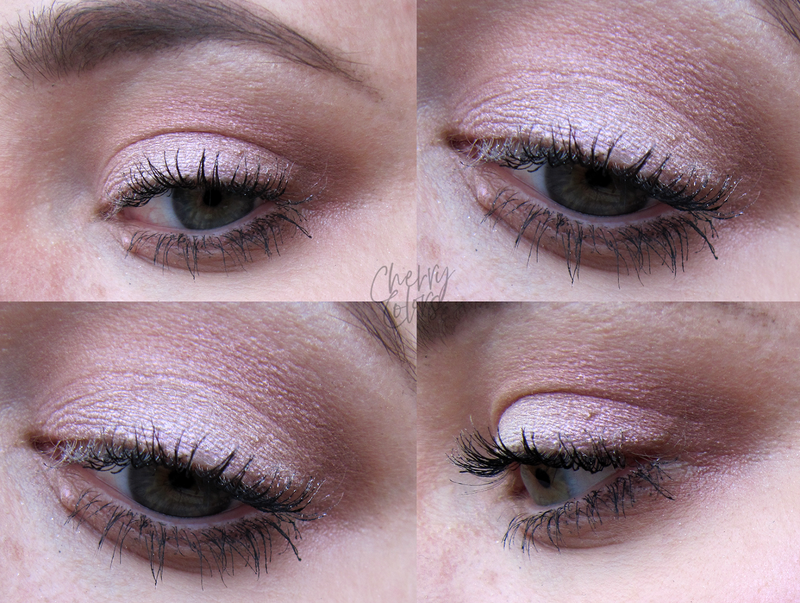 I am a fan of the iridescent look as it gives that something extra to your daily (or nightly) look. Which product is your favorite from them the upgrade? Let me know in the comments.